Modern phishing scammers have become a little more tech-savvy and clever as technology has advanced. Those who partake in owning a smartphone are subjected to even more criminal behavior, as cell phone users are now three times more at risk to be victims of email scamming attempts. Scammers are now getting so good at their “job” that even smart people can fall prey to their advances. When the internet and emailing first became popular, it was easy to spot a phony email. In the late 90’s to early 2000’s, fictitious emails would be poorly worded and usually contained made-up story (such as the Nigerian prince scam). You would have to be pretty naive to think that a Nigerian prince is emailing you, a random person who they don’t know at all. Back in the day, it was also far less common to actually receive a call that was dangerous. Yes, telemarketers would call your house and they were annoying, but annoying was all that they were. Unless you had a major shopping problem or a hard time saying “no”, telemarketers were harmless people that were just trying to make a living. In this current age of advanced technology, you have to worry about if the person (or robot) who’s calling you is dangerous. Unethical people who use technology to manipulate their victims are experts in the field of deceit and gaining trust. The time we currently live in is an age where dangerous people who know how to how emails and text messages to make almost anyone think that what they are receiving is legit. The most important piece of advice I can give you is to be careful and to keep your cell phones and other personal items close to you. Cell phone scams are on the rise. In 2017, 3.7 percent of cell phone calls were scam calls. In 2018, that number rose to 29.2 percent. Now experts say that the projected percentage for next year is 44.6 percent. (3 statistics to use) Overall phishing scams are on the rise, too. In 2017, phishing scams grew by 65% and they are continuing to rise. The most recent trick that con artists like to play is to pretend to be a big company like Apple or Amazon and mimic their emails and text messages. They will get people to “log in” to their account, so so they think. They use technology to mimic their emails and websites so people will enter private information that they can then steal. This is one of the many ways that scammers can manipulate their victims to make the fatal mistake of clicking a spammy link or providing personal information. Technology easily has allowed scammers to access a plethora of important information. And you can be a victim if you’re not careful. Phone cloning, where scammers steal your phone number and serial number so they can use your minutes and data and pass for you. Caller ID scamming, or neighborhood spoofing. These terms both refer to scammers using technology to modify the number that displays on the victim’s Caller ID. The one ring scam, which scammers hope that you will call back the phone number that they called from. They usually let it ring one time. The phone number you call back is pay-by-the-minute, and they charge outrageous fees. Voicemails from robots or people that pretend to be the IRS. They state that you owe the IRS money and that you need to call them back. The IRS will never contact you over the phone, they will send you a letter in the mail. Any other type of imposter scam like the one described above. In 2017, imposter scams were reported as the number one type of scam, causing it’s victims $328 million. In general, robocalls are becoming more popular, as in 2017 it is shown that they have quadrupled in number since 2009. You will more than likely be receiving even more robocalls next year. Apps that contain malware and will steal information from you once you download them. One ring scams that will want to make you call back, they will also charge a large fee to call them. Eavesdropping by installing software on your phone when you aren’t looking. There are many more techniques in which scammers use to get into your bank account and personal life before you even know it. But how do you protect yourself from these scammers? Here are five ways to keep yourself safe. If you receive a call from an unknown number, do not call them back! Additionally, do not open attachments or links from unfamiliar emails or phone numbers that text you! According to Stanford University, 1 out of 10 phishing emails that are sent are successful. However, if you think the phone number might be someone you know (or if it’s for something important like a job interview) but you aren’t 100% sure and you are wondering “whose number calling me?’, you can perform a reverse phone lookup. A reverse phone lookup through a website such as National Cellular Directory will tell you just who is calling you as well as provide other details if there is information on the phone number. If you aren’t sure if the email is spam or not, you need to click on the email name to see what the email address is. Scammers will use actual company names for their email name to try and trick you into believing that you are receiving an important email. For example, the email name may say something like “Apple Inc”, but when you click to see the actual email address it could be something spammy. Scammers know that their email name can be anything, and they use this feature to trick people. If you are at your wit’s end trying to figure this out, call the company using the phone number found on their verified website to discuss the email that you received to see if it is a spam email or a real one. This one’s a doozy. But seriously, don’t log in to a Starbucks public network and then log in to your bank. Scammers are talented people who can easily access your personal information if you give them the chance. So don’t give them the chance. According to Norton, in the year 2015 594 million people worldwide were unfortunate victims of virtual crime. Additionally, in America alone, 12% of people had their financial information embezzled. It’s easier than you think for people to find private information about you with just a cell phone number and a name. Our cell phone numbers are tied to many of our online accounts. Once someone has access to your phone number, they can learn even more about you. Your ten-digit phone number is a gateway to your personal life and should be kept as private as possible. Always read the fine print when joining anything that asks for your phone number. The same goes for your email address. You can also make another email address for websites that you join so you don’t have to share your personal one. Don’t include your phone number on your social media profiles and/or dating websites! This is a big no-no! Once you share your phone number on online profiles of yourself, it will be shared, stored, and bought. It’s unfortunate that our world is full of malicious and unkind people. You cannot trust a stranger or any website, and you especially cannot hand out your personal information on public profiles. We are lucky to live in a world where passcodes protect our personal information that is stored on our phone. However, these passcodes can be cracked and then your information is available to steal. On average, a computer can hack a four-digit passcode in seven minutes. Unfortunately, passcodes aren’t 100% effective when it comes to protecting your phone. Even of you are away from your phone for a minute, hackers can install software on your phone to track you as well as track what you do on your phone and what information you enter. Your phone stores more information that you even realize, such as credit card numbers, bank account information, where you go, your private emails, racy pictures, etc. Most people would not want a stranger to see what they store on their phone! Phone directories share public data information with the public. Opting out of these directories will help your phone number get the privacy that it needs. Additionally, you can register on the do not call list to make sure that telemarketers and other salespeople cannot legally call you. While this does not stop scammers, you will receive less unwanted calls. Use the techniques above to help protect yourself from dangerous predators. On slip could cause a domino effect that has lifelong consequences. It’s definitely worth it to take the extra safety precautions. Remember to keep your number and email address as private as possible. 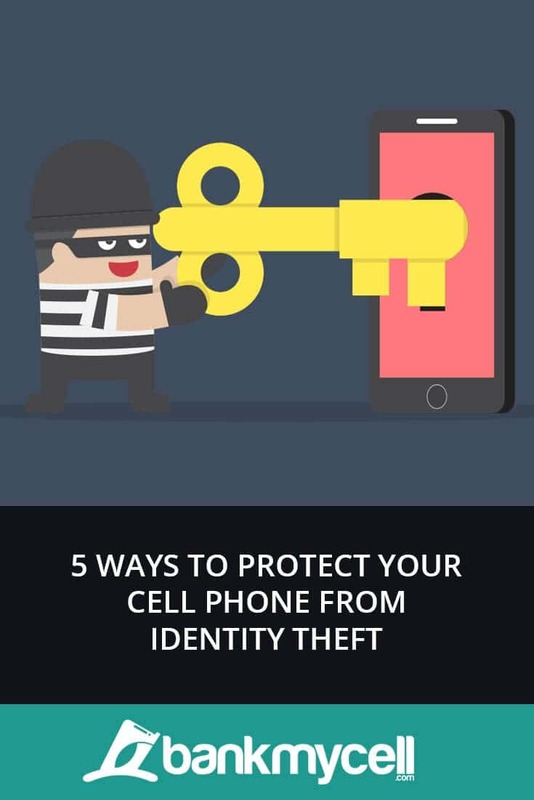 Additionally, keep your phone on you at all times and never answer unknown calls or unfamiliar emails unless you have verified their legality.